This year, 33 candidates competed for 20 senate seats and ran on a variety of platforms, including advocating for the improvement of mental health programs, battling food insecurity and increasing diversity in Greek life. Student Action won 11 senate seats with its slate of 13 candidates. Evina Wang, Joseph Besgen, Derek Imai, Haazim Amirali, Shelby Weiss, Rocky Gerosa, Jeremiah Kim, Melvin Tangonan, Jungmin Jenny Kim, Sitara Bellam and Carolyn Le will represent Student Action in the ASUC Senate for the 2019-20 academic year. The party won the same number of seats as in the 2018-19 election. “I’m so honored and thrilled to have this opportunity and … to be elected with this senate class,” Gerosa said. This year’s election proceeded in a similar fashion to last year’s, when Student Action also took a majority of the senate and partisan executive seats. CalSERVE ran nine senate candidates this year, four of whom won seats: Omotara Oloye, Nicole Anyanwu, Media Sina and Romario. Last year, CalSERVE only took three senate seats with its seven-person slate. Some CalSERVE candidates, however, expressed disappointment with the party’s losses this year. The Defend Affirmative Action Party/Fighting for Immigrant Rights and Equality, or DAAP/FIRE, ran three senate candidates this year: sophomore Stephanie Gutierrez, junior Esteban Tabares and senior Haile Amonson. DAAP/FIRE senate candidates did not secure any of the seats they were vying for. Just as in last year’s election, Gutierrez ran for senate and president in 2019, failing to secure either position. This year’s election also saw the founding of two new campus parties — Students First and Connect Engineering — and was the first time since 2017 that a new campus party has been announced. 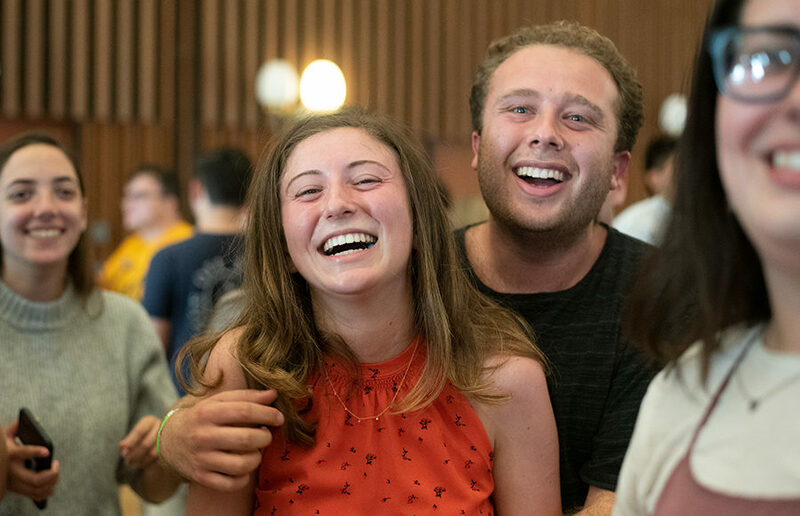 Campus junior and ASUC Senate candidate Milton Zerman, who founded Students First, was the sole candidate to run with the party and managed to secure a 2019-20 senate seat. Though Connect Engineering filed as a party this year, it did not run any candidates. This year’s election saw a noticeable absence of the Pirate Party and SQUELCH!, which has historically run both nonsatirical and satirical candidates. Neither the Pirate Party nor SQUELCH! filed as a party in this year’s election. The Pirate Party last ran candidates in the 2017 election, during which the party secured one senate seat. SQUELCH! also last ran a candidate in the 2017 election, when it unsuccessfully slated two senate candidates and a ghost candidate for president. Similar to the 2018 election, four independent candidates secured senate seats this year: Rebecca Soo, Sylvia Targ, Sumrit Grewal and Liam Will. In a 20-person senate, this year’s four independent candidates is a dramatic decrease from the 2018 election. Last year’s six independent senate candidates set a new precedent, given that only one independent candidate won a seat in 2016. ASUC President-elect Amma Sarkodee-Adoo said that although she is excited to see the work that next year’s senators accomplish, she is disappointed that no candidates endorsed by the Latinx community were elected. Though independent senate candidates won fewer seats this year, Student Action continued to dominate the ASUC elections scene, winning not only the majority of the senate but also the majority of partisan executive positions. Student Action candidates Sarkodee-Adoo, Andy Theocharous and Aastha Jha clinched the positions of ASUC president, executive vice president and academic affairs vice president, respectively, replicating last year’s elections when the party secured the same three executive positions. Staff writers Alexandra Casey, Sabrina Dong, Leon Chen, Maya Akkaraju and Katherine Finman contributed to this report.